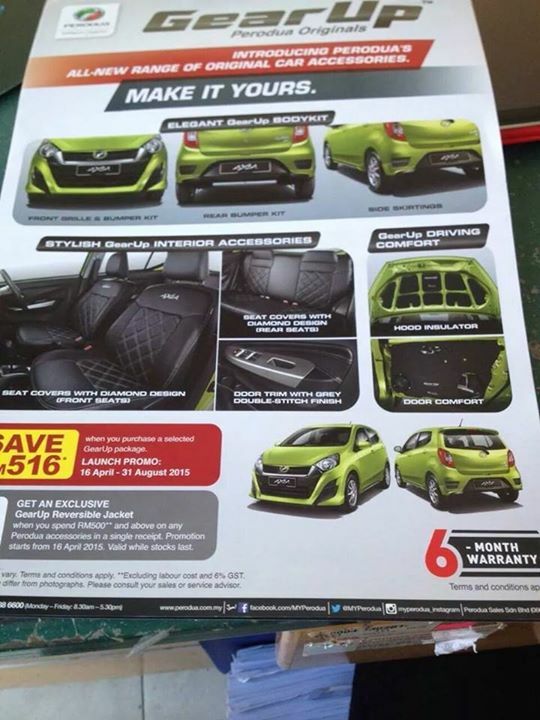 Word has it that Perodua will be launching a new line of car accessories for the Axia, called GearUp. 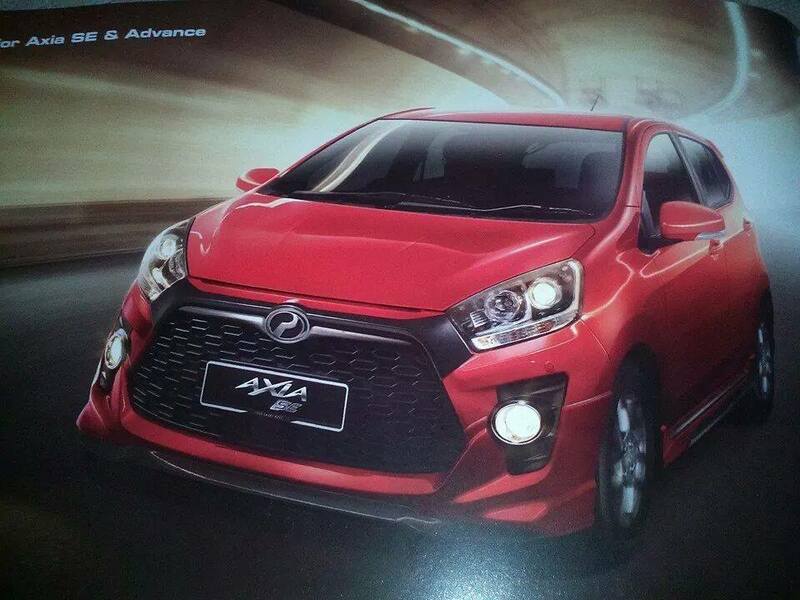 We found these photos for the brochures on the Perodua Axia Community and Perodua Axia Club Facebook group. All variants of the Perodua Axia is able to benefit from the GearUp accessory package, ranging from the basic Axia 1.0 E all the way to the Axia 1.0 Advance. 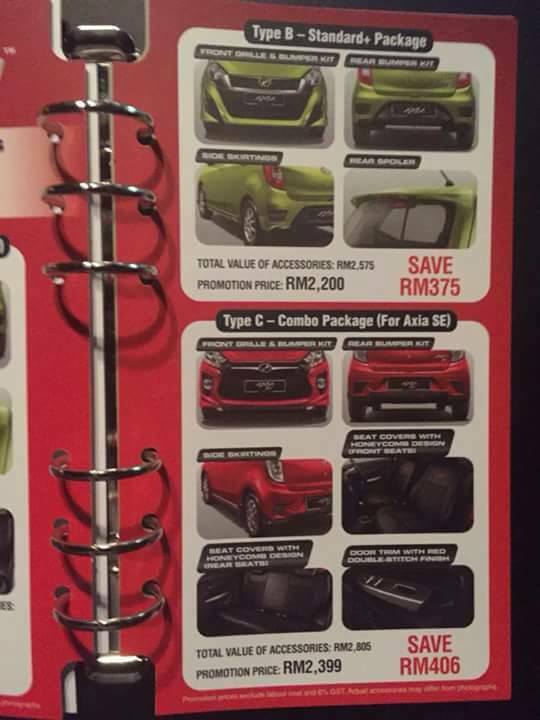 For the Perodua Axia 1.0 G and 1.0 E variants, it looks like Perodua will be offering several packages, which includes exterior bodykit, seat covers, door trim, bonnet insulation and door insulation. 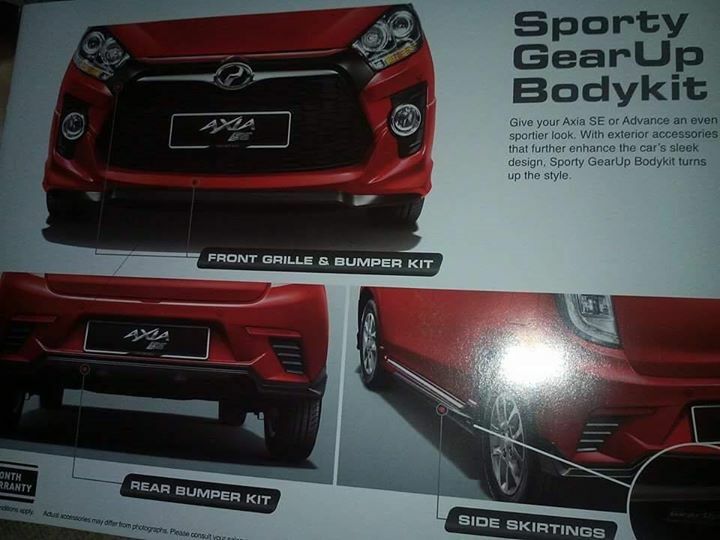 According to the leaked photos, the exterior kit which includes the front grille and bumper kit, rear bumper kit, side skirts and rear spoiler will cost RM2,200 (cost of accessories is RM2,575). Owners of the Perodua Axia 1.0 SE and Advance variants can also benefit from a front grille and bumper kit, rear bumper kit and side skirts. The Type C combo package (according to the brochure) will include the front grille and bumper kit, rear bumper kit and side skirts, on top of seat covers and door trim. This package has a promotional price of RM2,399 (cost of accessories is RM2,805). 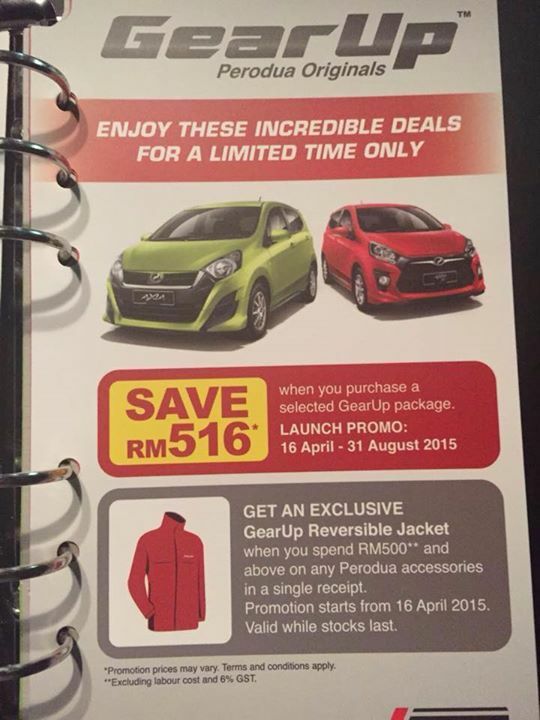 Stay tuned for more updates, as Perodua will be launching their GearUp accessories line very soon! Truckin' Life: Are you game for a new TATA 4x4?